Sheet Protectors to fit our screwpost menu covers and wine list covers: crystal clear pockets, hold two sheets, back to back for double sided viewing. 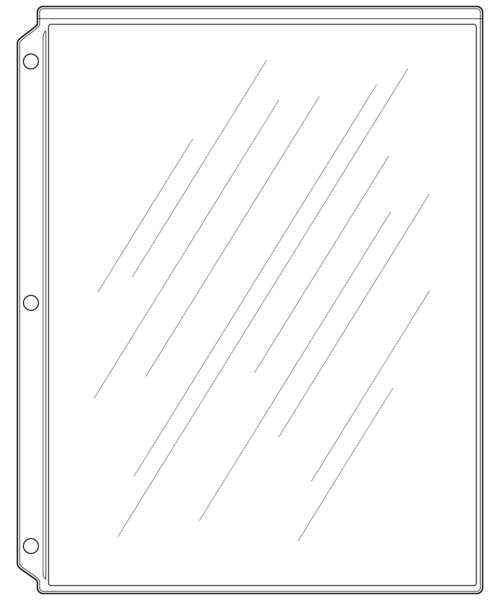 Sheets load through opening at top of pocket so pages may be changed without removing pocket from binder. Standard three hole punching along side allows these pockets to fit our padded covers or any standard, three ring binder. Page Protectors to fit padded wine list covers: crystal clear pockets, hold two sheets, back to back for double sided viewing. Shop online with the Menu Shoppe today.